Insider’s Guide to Miller Park. Complete Guide to Miller Park! …Get a great seat. Pick the perfect seats at Miller Park to suit your taste and budget. Whether you’re sitting in the Field Boxes, the Uecker seats, Bernie’s Clubhouse or any of the hospitality areas like the Club Level or the Mountain Dew Deck, you’ll know what to expect…even the great standing room spots. …Get to the ballpark. Learn some alternate routes to avoid traffic getting to the Brewers lots, or skip the traffic altogether and use an MCTS bus. Or pick out a great Milwaukee tavern that will let you park for free and give you a ride…there are almost 50 of them! Or take a taxi or even ride a bicycle along the scenic route…this complete guide to Miller Park covers it all. …best of all, SAVE MONEY. 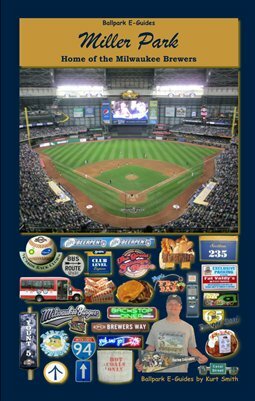 If you haven’t read this complete guide to Miller Park, you’re probably paying too much for Brewers games. 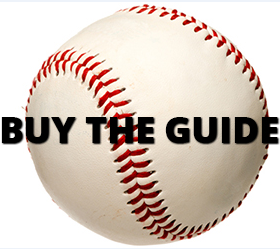 The Miller Park E-Guide is full of “Tightwad Tips” that show you how to go cheap on everything from Brewers tickets to parking to food! Download the eBook today for just $4.99, or order the nicely compact print edition…with the eBook included at no extra charge…for just $7.99 plus shipping!